We are a Family Owned and Locally Operated business with over 30 years of experience in the Pest Management Industry. We offer Green Pest Control solutions, and have a Money Back Guarantee Pest Prevention Program. We hired Valley Pest Solutions after having another company for many years that could not keep peaty ants away time and time again. The last straw was when they would not give me another appointment! I called Valley Pest and Terry came out the very next day! He spent hours servicing my home. Inside every crack and crevice, outside he looked around our entire yard and found where ants were and sprayed not just around house but entire property. 3 hours there on a last minute cry for help. I cannot thank them enough for saving the day! Very professional and timely, I can"t believe I waited so long to hire them! I would recommend them to anyone at anytime! Ps- no more ants since Terry was there! We have been here in Del Webb for about 10 months and have been using Valley Pest Solutions for the whole time. We have not had any complaints with the service and hardly know when they are here except that they ring the doorbell to let us be aware they are in the yard. Thanks guys for the notices. John Dudley. It pleases me to hear that you are happy with the service and that you have taken the time to not only review Valley Pest Solutions but give us a 5 star rating. Soon we will be offering current customers a substantial discount for referring their friends and neighbors that start the Four Season program, as a way to say thank you for the vote of confidence. I have been with Valley Pest Solutions for 3 years and I’m extremely happy with their service. I would definitely recommend them to everyone! Thank you for the highest vote of approval and it's not just the 5 star rating, it's the recommendations. It is customers like you that have helped Valley Pest Solutions to grow. Each and everyday customers give us a vote of approval by referring their friends, neighbors and relatives. 1st month with the company, the people I've had to deal with have been very knowledgeable and patient with answering all my questions. We hope to have a long and great relationship. Thank you! We are very grateful for the review and your business. If we ever fall short of deserving a 5 star rating please contact me and it will be corrected immediately. We too look forward to a long, great relationship. Valley Solutions has done a terrific job maintaining our house free of insects rodents and other insects I highly recommend their services thanks for doing a good job. Thank you for taking the time to speak such kind words of VPS, for I know how busy your life is. I am sorry we have not exceeded your expectations, thus not receiving a 5 star rating. I will be contacting you to find what we need to do to earn that 5 star rating. Im very pleased with the service, always on time. Thank you for the highest rating a customer can give. Our promise to you is to continue to provide the highest quality customer service one would expect. Excellent Service. Very quick to respond back if there is a issue. My bug problem since we moved into a new development has tremendously decreased as much as 99%. We appreciate the time you took to write your review of Valley Pest Solutions. If we should ever fall short of exceeding your expectations please notify us . We are here because of customers like you. Very happy with my service from VPS, have always done a great job. No pests to speak of when you are on the job both at my home and son's home. I recommend you to everyone when they ask who to use and know of at least 1 account I have sent your way. Carla we delighted to hear that you are very happy with your serve and you haven't seen any pests. We greatly appreciate you taking the time to give us a 5 star review. Happy Holiday! Thank you for the 5 star review. We greatly appreciate it! Terry is very professional. Returns call quickly and keeps me updated on his work. Thank you for your kind review. We are glad to hear you are satisfied with our work. We appreciate your business and look forward to working with you. Excellent service! They have kind, respectful, professinals running and working in this local business. Plus, I have absolutely no pest problems! Denise what a wonderful review. Thank you so much. Very professional. Great service. We have used Valley Pest Solutions for years now. We would highly recommended their services. Cheryl Thank you for a great review. We appreciate your continued business and loyalty. We have been using Valley Pest Solutions for the last five months, and we have had no issue with pests since! They are easy to work with, and they get the job done. Thank you Dan & Laurie, we appreciate you taking the time to give us such a wonderful review. Glad to hear that you haven't had any pest problems. We have been customer's for a few years now. The company is very responsive to calls about needed services. Thank you for a job well done! John & Jennifer, Thank you for your business and the great review. We appreciate the opportunity you have given to us. Dale & Colleen, We appreciate you taking time to share such a wonderful review. Thank You! Valley Pest Solutions has been servicing my business for 1 year now and they have been excellent. They always went the extra mile to make sure my business is taken cared of. DEFINITELY RECOMMEND! Thank you so much for your wonderful review and your continued business. Larry and Connie Thank you for the great review. We appreciate your business. Thank you for the 5 star review! We appreciate your business and look forward to serving you in the future. Reliable, convenient, and trustworthy company. Would recommend to anyone in the area to utilize their service. Cost of service is perfect and hassle free. Thank you for leaving us such a wonderful review. We take pride in our hassle free service and procedures. Thank you for the 5 star review. We appreciate you taking the time to do so. Thank you for taking the time to give us a great review. You're a valued customer! I love Valley Pest Solution. We were constantly having problems with ants for years but since we started service with Valley Pest we have been ant free for years. Thank you Tina, We are pleased to know you no longer are having ant problems. Valley Pest is the best pest control service we have ever had! When we first moved to Manteca and were looking for service we came across Valley pest on an internet search. Terry came out, was so kind, explained everything that the service would take care of. They are fast on email responses and the reminders they send that they are coming out are so helpful. Will never have another company service our home. Sara, Thank you so much for a wonderful review. We are truly grateful to have such loyal customers such as yourself. Terry has been taking care of our storage facility for over a year now and has done a great job for us. I would highly recommend him! Steve at Storage Max in French Camp. Thank you for taking the time to give us such a wonderful review. We appreciate your continued business. Thank you for taking the time to give us 5 star review! We appreciate your business and look forward to helping you with any of your pest problems in the future. Very good service! I sent an email late at night and they called the next morning and showed up and killed all the creepy bugs right away. They will be back every other month to kill more! These guys are some really nice killers of annoying pests and can save someone from black widow bites, Lyme disease or worse! I highly recommend these contract bug killers! 😁. Thank you for such a wonderful review. We are grateful for the opportunity to have helped you with those creepy bugs. Hopefully you will not have to worry about them again. Terry and Shane do an awesome job. They are both genuinely good people as well. Thank you for your pleasant review. We take pride in providing the best service for our customers. 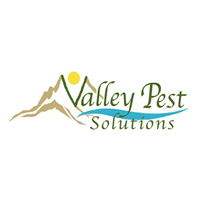 We have been using Valley Pest Solutions for a few months now and we love them! Every technician we have had has been extremely friendly, pleasant, and professional. They are always thorough and make sure we are happy with what they've done. Highly recommended! Thank you for such a wonderful review. We appreciate your business. I highly recommend Valley Pest Solutions! Terry is very professional, and dependable . Each month he sends a email reminder of the upcoming appointment.This is very helpful for me. He is very friendly,and thorough, makes sure at each appointment to ask if everything is ok .
AND since he's been treating our 4-plex seen NO more creepy crawlers . Thank you and we are very pleased that you haven't seen any creepy crawlers anywhere. Terry and his guys are amazing people. They are very professional and go above and beyond to take care of your needs. Every time the service my home, they always make sure my dog's water bowl is filled before they leave. I would recommend Valley Pest to anyone. Highly recommend them. Thank you for your kind review. We value our customers and furry ones as well. Timely, thorough, professional, efficient. Awesome company! Thank you! We appreciate you taking the time to give us an awesome review. Terry is the best! I had an ant infestation and he took care of it quickly. Hours after he left there were no ants to be seen. I should have called him earlier. Thank you for your wonderful review. I'm so glad Terry was able to take care of your ant infestation. Please call us if you have any further problems. How can you top this company? You can’t they are awesome my animals love them. Pests, none. Christian business Yes what do I need to say. What a wonderful compliment Dave, Thank You! We appreciate your loyalty and business. Service is 1st rate and bugs stay away!! Thank you! We appreciate your business and glad to hear the bugs are staying away! We love this family owned business. They are really honest and on time. Whenever we have an issue in our house, they come out right away. Their price is reasonable and they always work with you. Thank you for sharing your review. We appreciate you taking the time to do so. is very fair. I give Valley Pest a high thumbs up. Thank you! What a wonderful review. We appreciate your business and look forward to helping you with all your pest issues you may have in the future. Valley Pest has been providing services for our home and business for over 2 years. They are on a regular schedule and always secure locations. They have made suggestions when appropriate and we highly recommend them for the professionalism and quality. Thank you for a wonderful review and the ministries continued business. I have been a client of Valley Pest Solutions for several months now. I started with gopher control and have recently advanced to "full service". Terry and his crew are very knowledgeable in all aspects of pesky critter eradication and do an excellent job. I highly recommend them!! Thank you Valley Pest Solutions!! Thank you Laura for a wonderful review. We are happy to know that you no longer have a gopher issue and thanks again for your continued business.